When a company wants to go public and offer shares of common stock, it must fill out an S-1 form, a background document used by investors for research before an initial public offering (IPO) is filed. Because they have a direct financial interest in the performance of a company, individuals and groups that invest are smart to look closely at this document before pledging their money. If only the government was as careful. Last summer, Michigan Capitol Confidential covered the “green” energy company Mascoma Corp., which has received more than $100 million from the federal government and another $20 million from the state of Michigan. 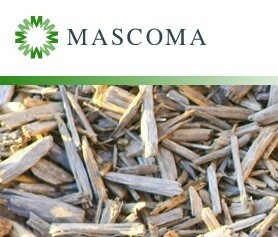 Mascoma is a biofuel company that has developed a new type of yeast used to lower the costs of ethanol. It currently sells that product to corn ethanol makers, but has received government funding with the hope of using it for cellulosic ethanol. Mascoma is trying to build a plant in Kinross in the Upper Peninsula. The bulk of the government money was for the proposed plant, which it was supposed to break ground on over two years ago, projecting to the state that it would create 70 jobs (it ended up reporting three created jobs). Instead, the construction was delayed; the company later told Capitol Confidential it would start building by the end of 2012, but there is no word whether construction has started. The group in charge of the plant is Frontier Renewable, a co-op between Mascoma and J.M. Longyear, but the company’s website has not had a news update in more than a year. Katie Fehrenbacher, a senior writer for the website GigaOM, reports that Mascoma has changed its S-1 form to show that it is more reliant on government funding. "Before pulling its IPO, Mascoma raised two rounds of a few millions of dollars in debt over the past six months," Fehrenbacher wrote. "That’s not the typical behavior of a company on the upswing getting ready to go public." The federal and state governments promote these types of investments as both job creators and a path toward a clean energy future. Instead, it is a prime example of how misaligned incentives harm taxpayers and the economy.